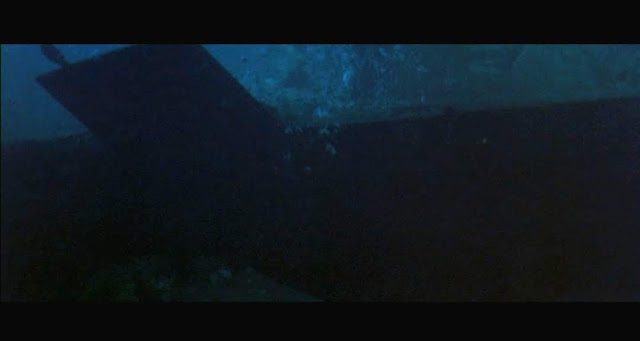 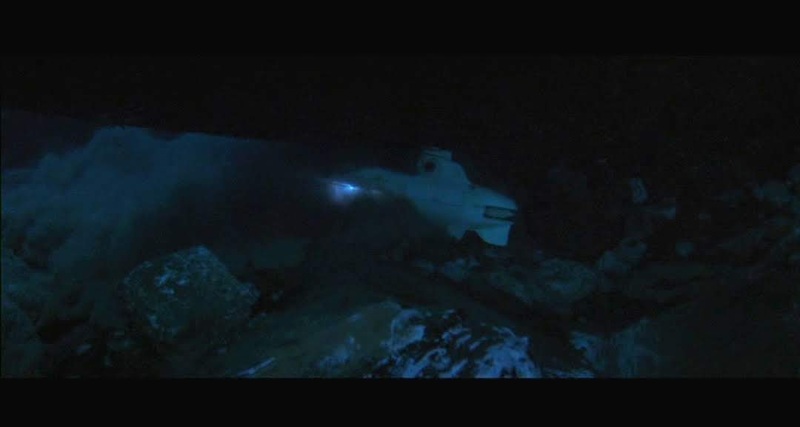 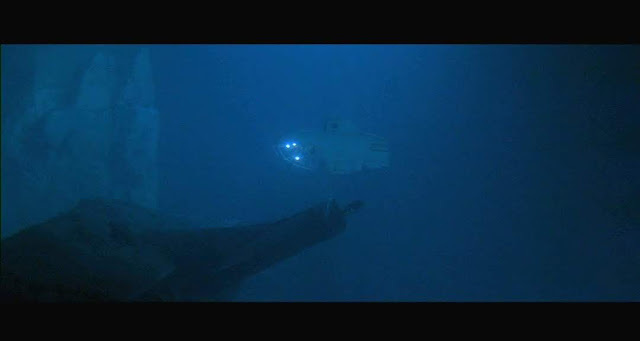 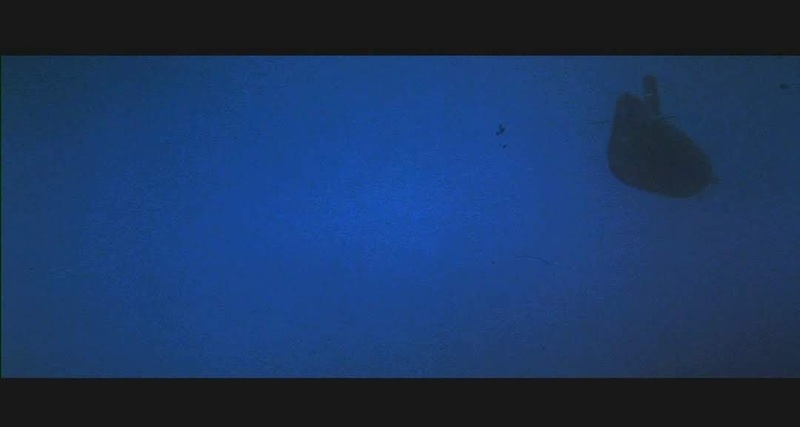 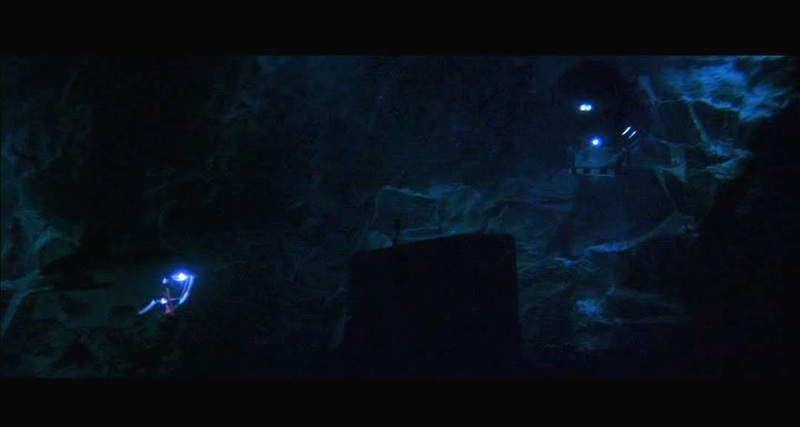 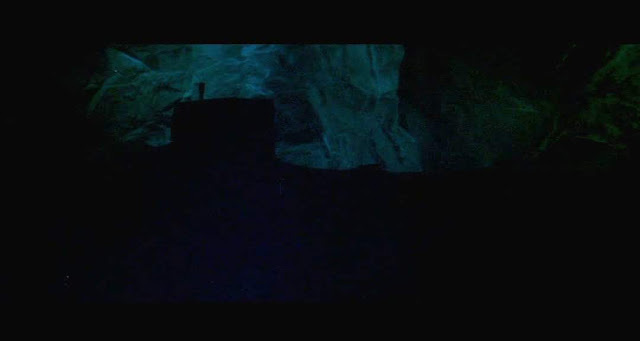 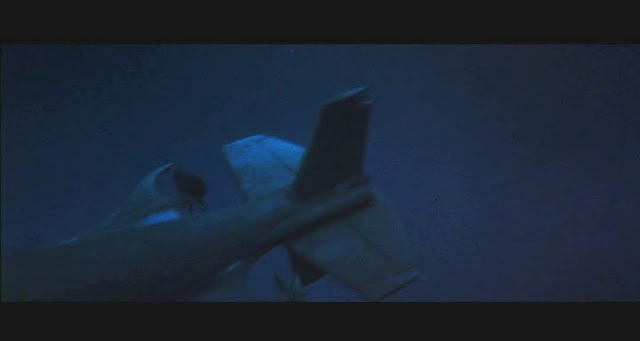 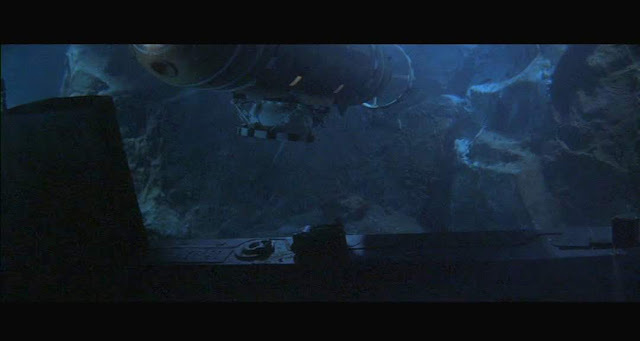 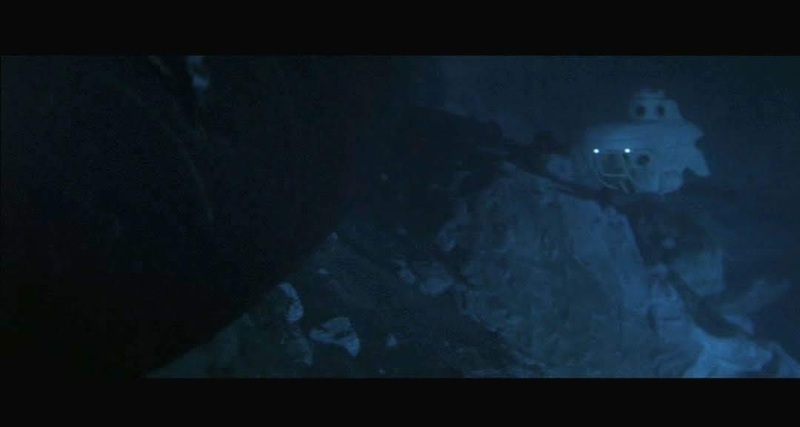 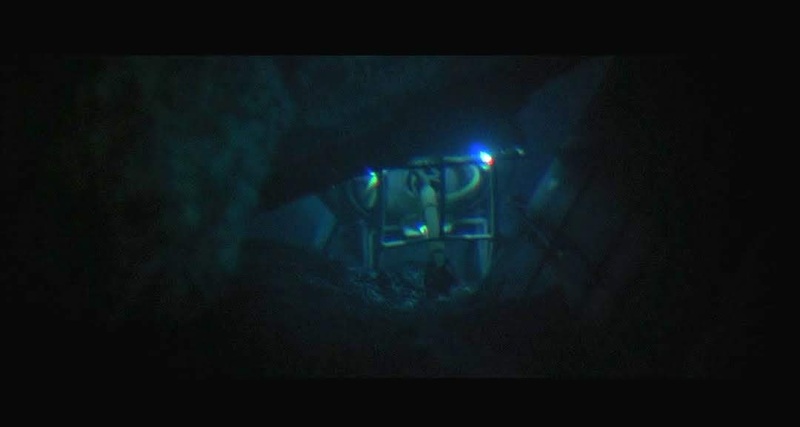 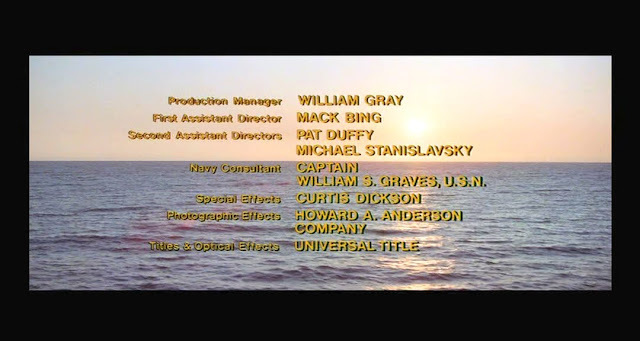 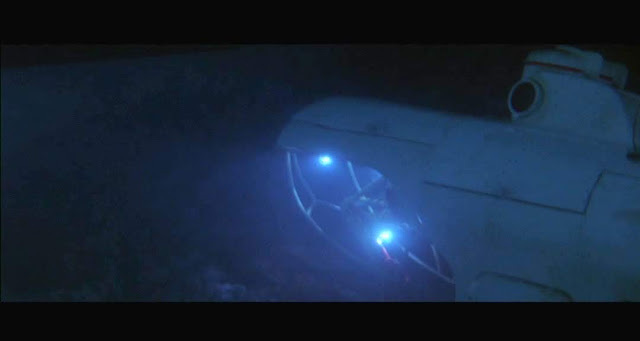 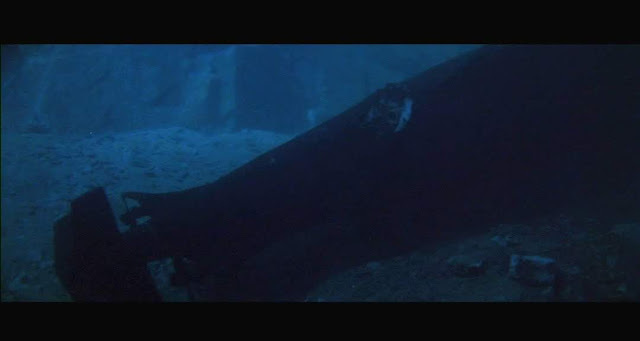 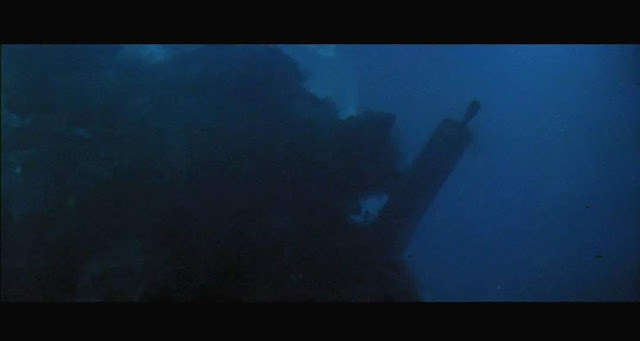 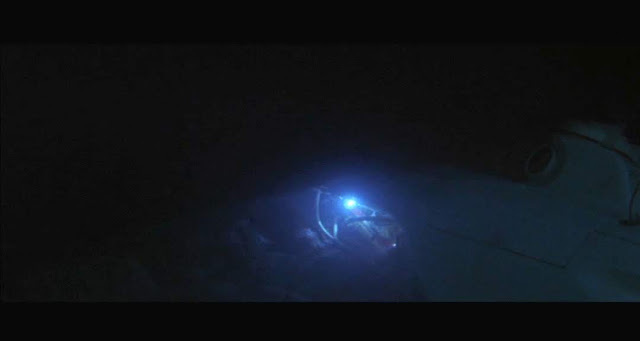 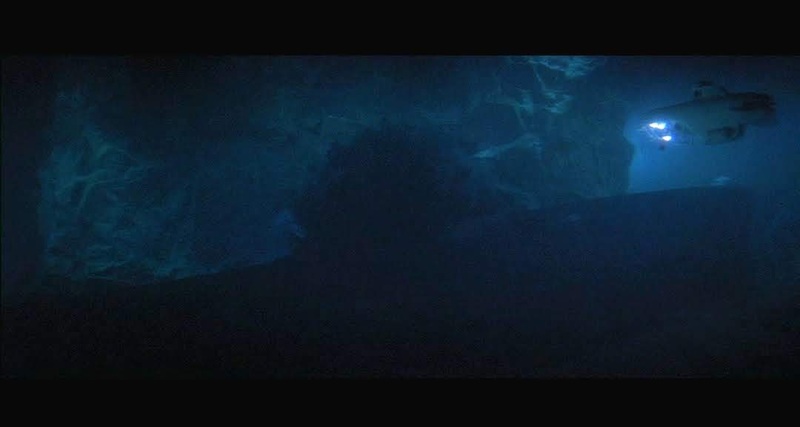 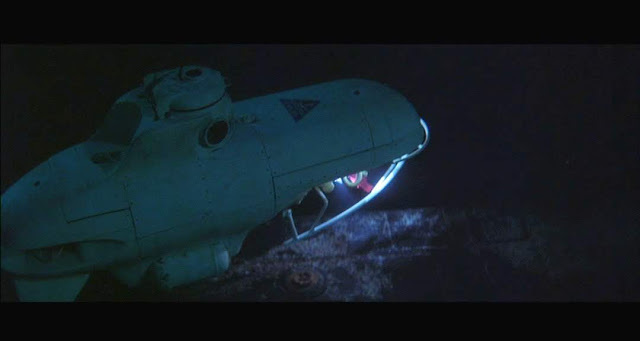 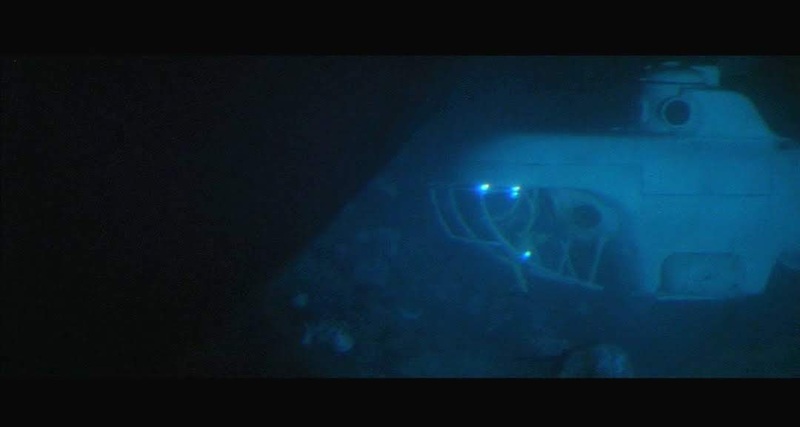 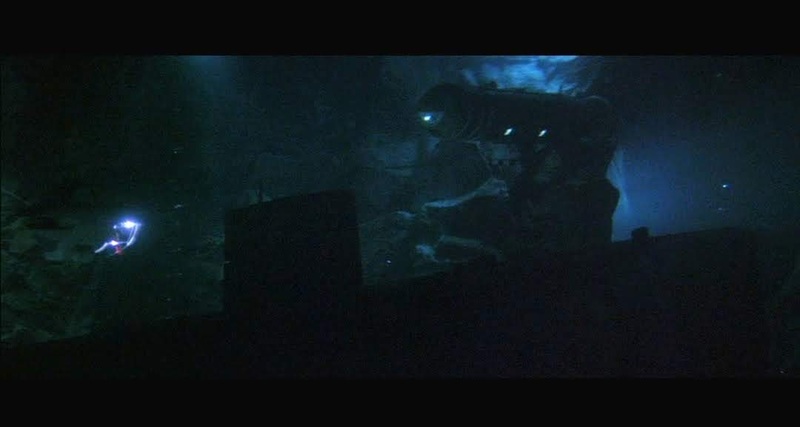 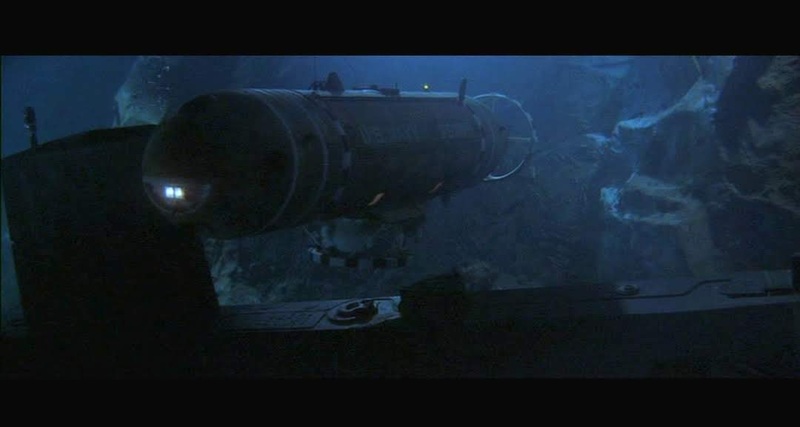 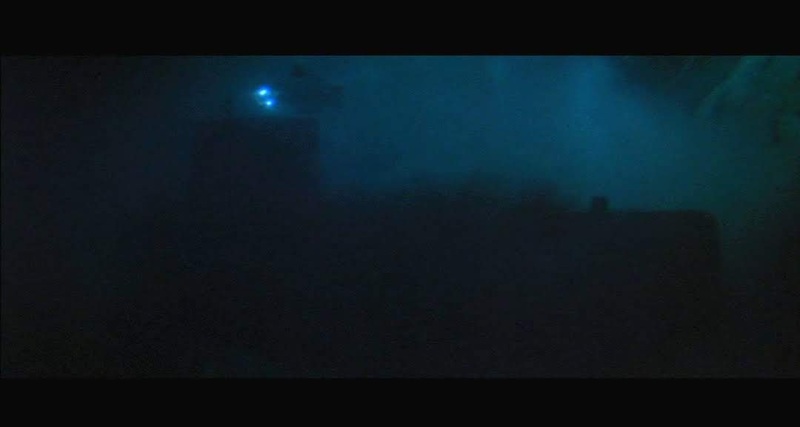 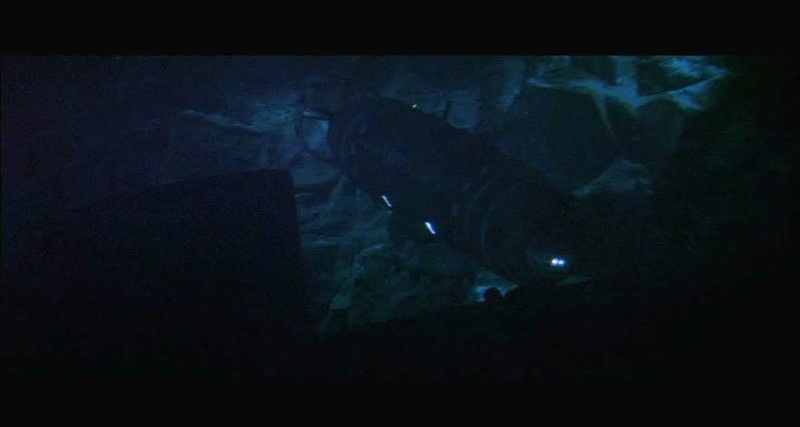 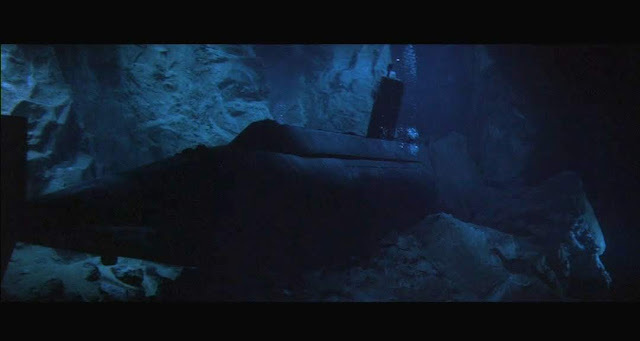 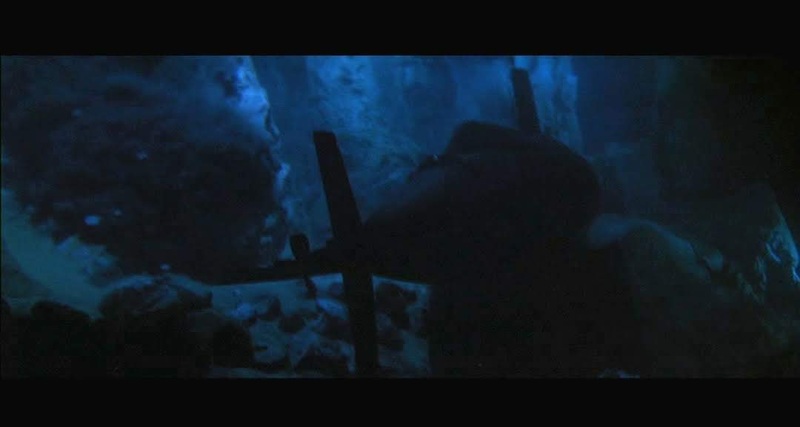 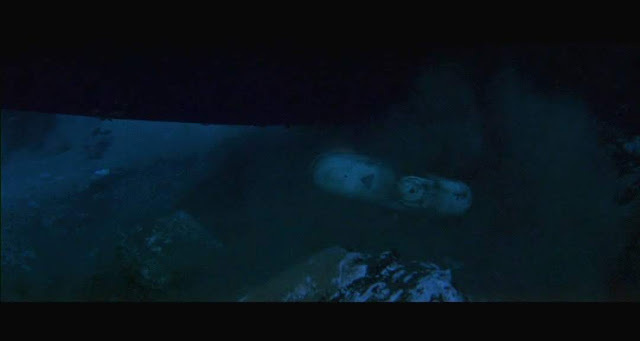 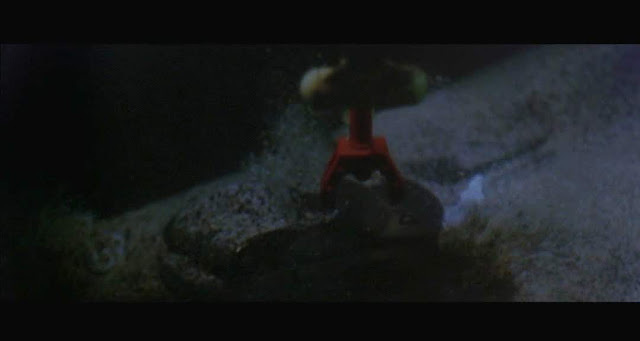 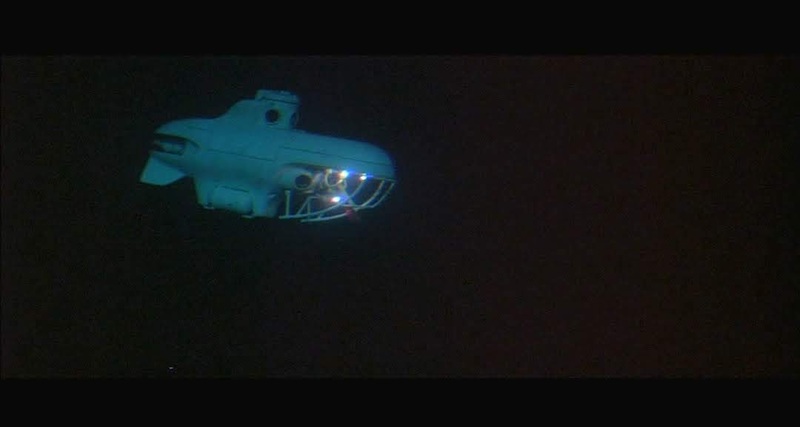 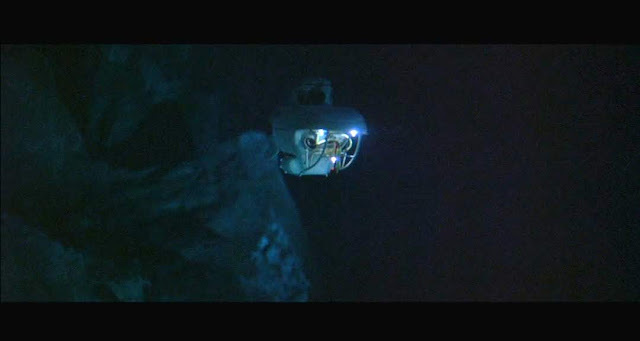 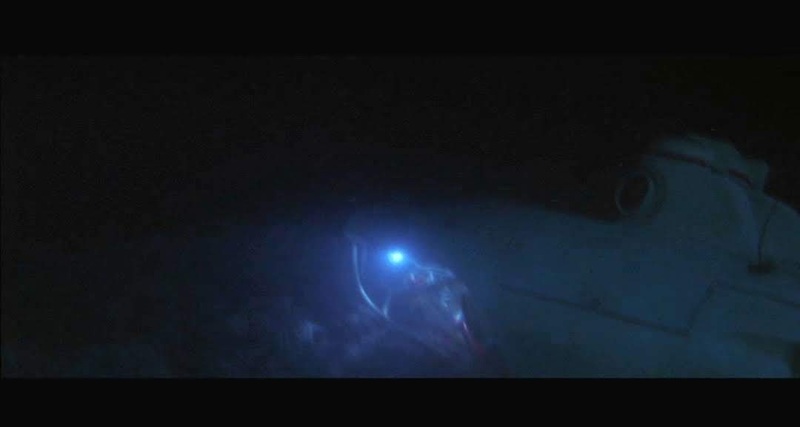 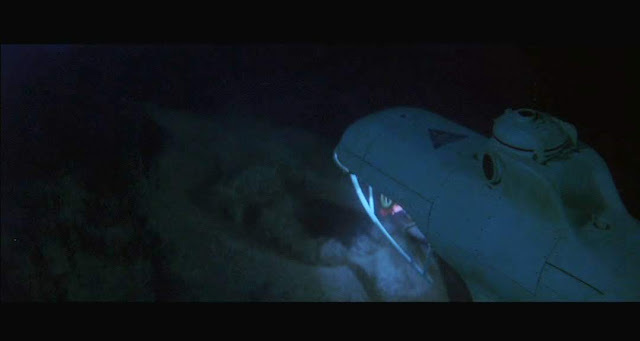 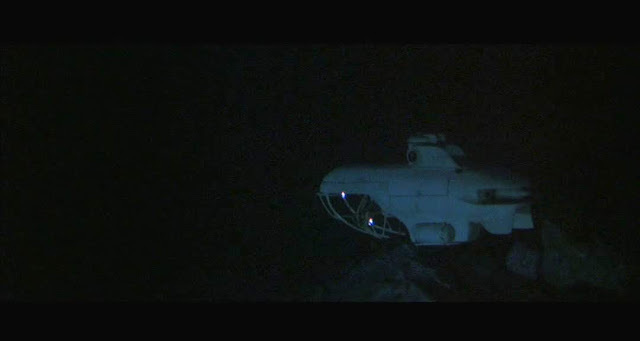 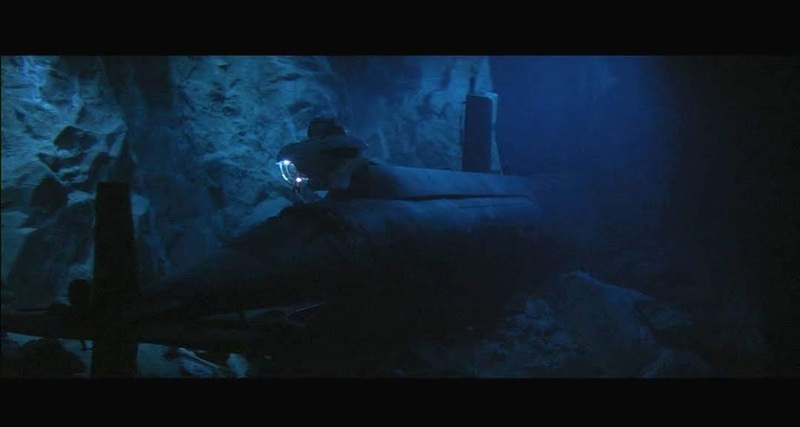 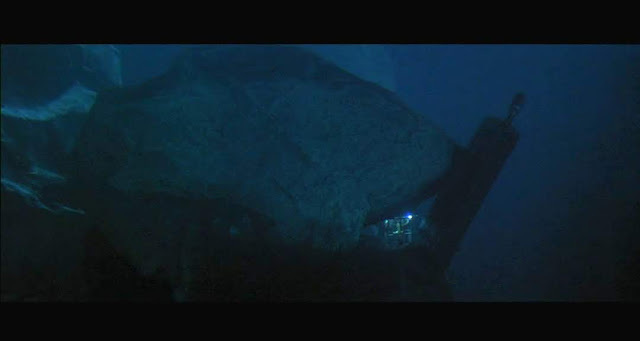 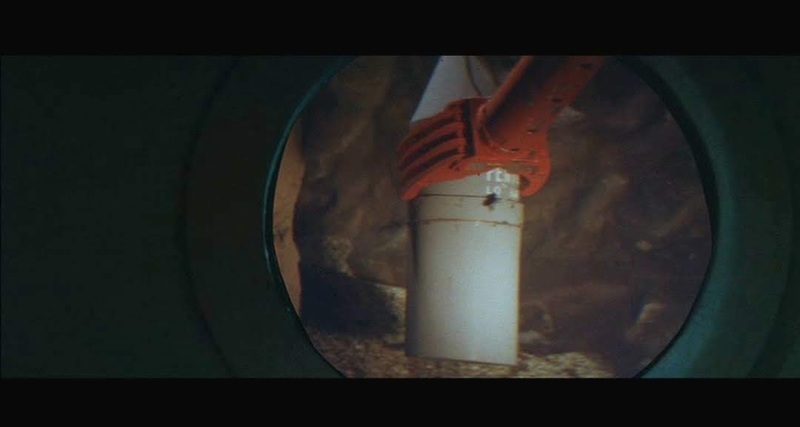 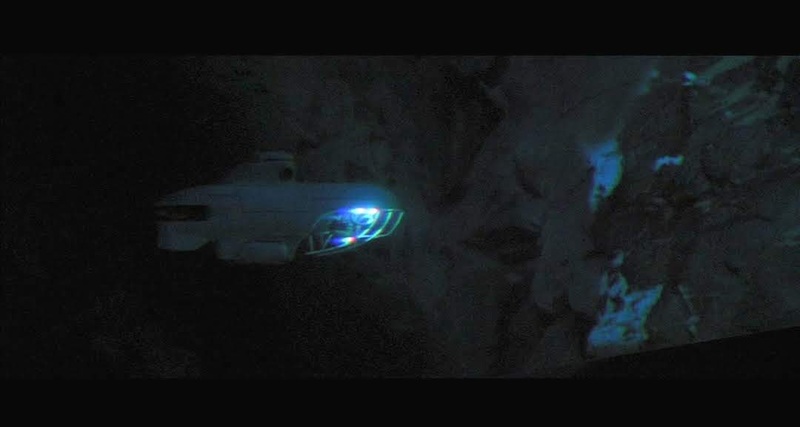 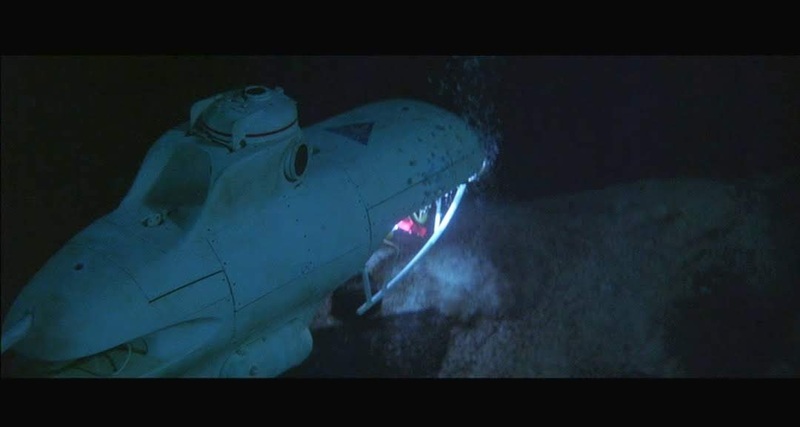 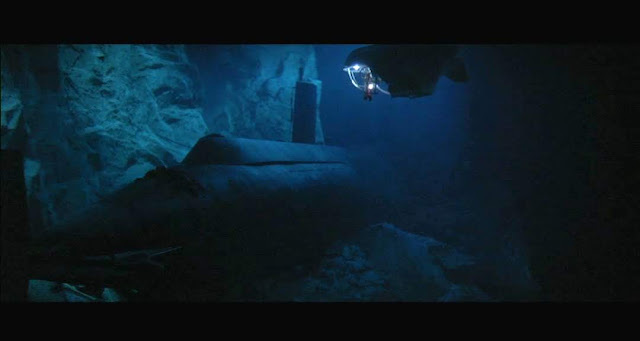 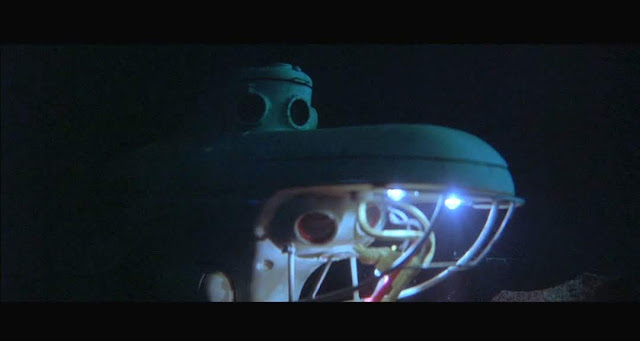 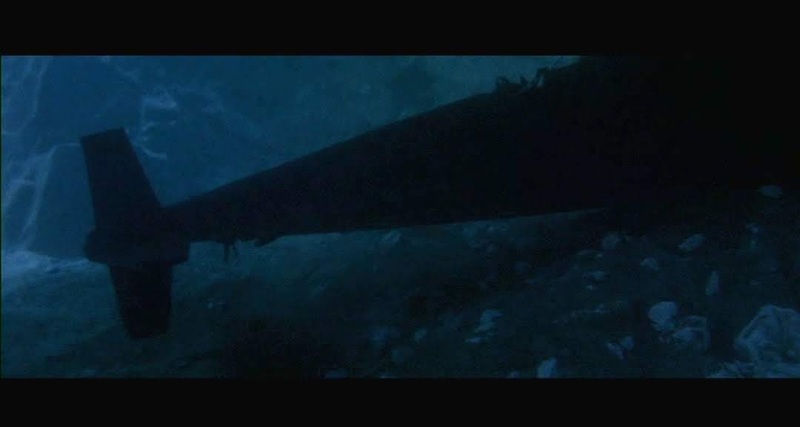 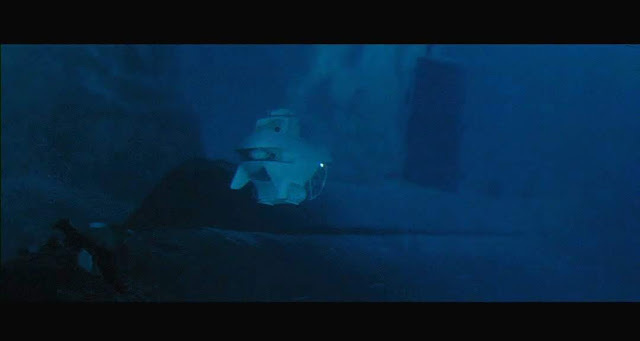 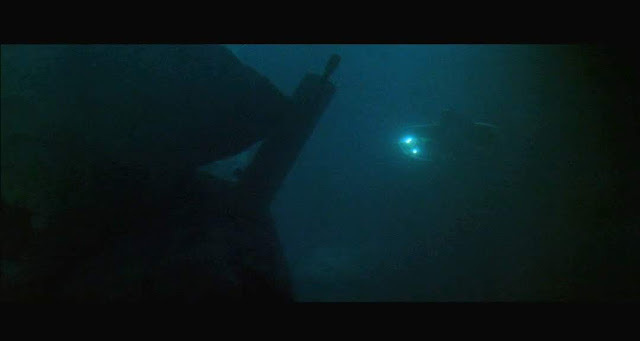 The photographic effects by Howard A. Anderson Company for this sunken submarine rescue movie are very competently staged and shot. 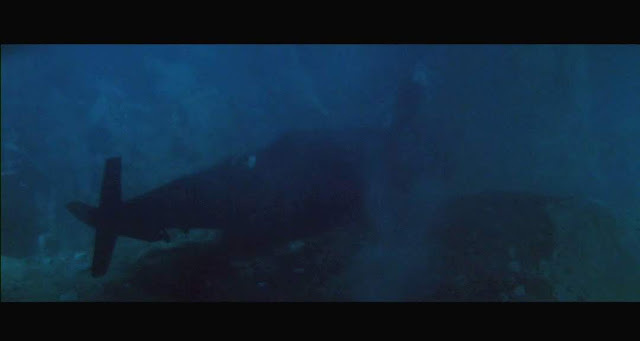 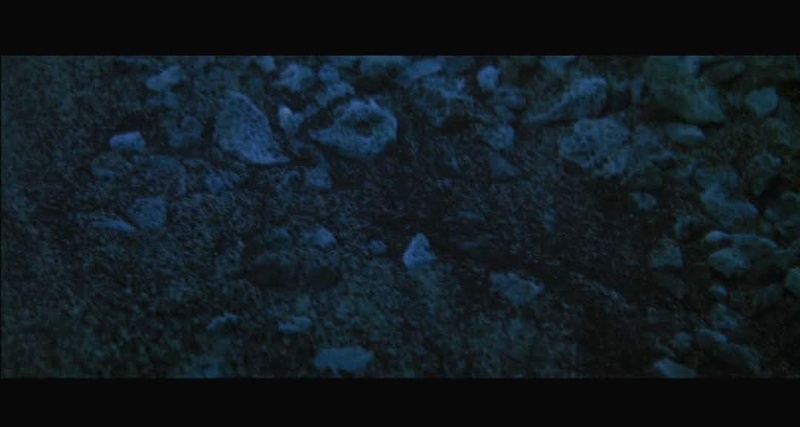 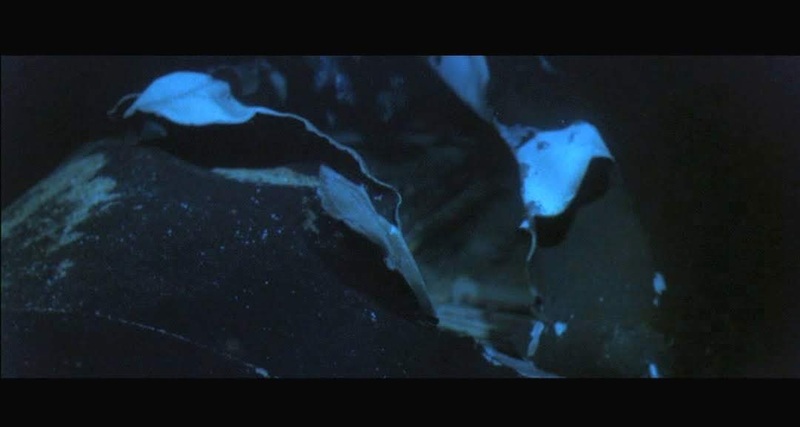 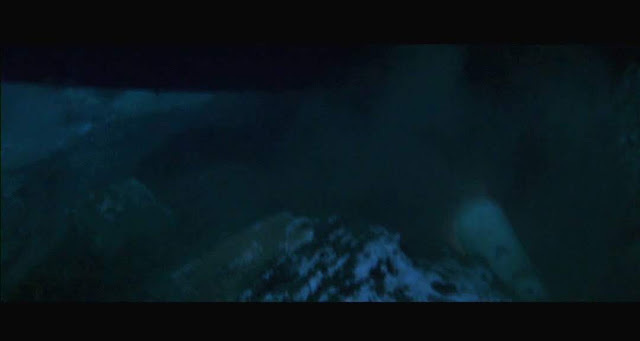 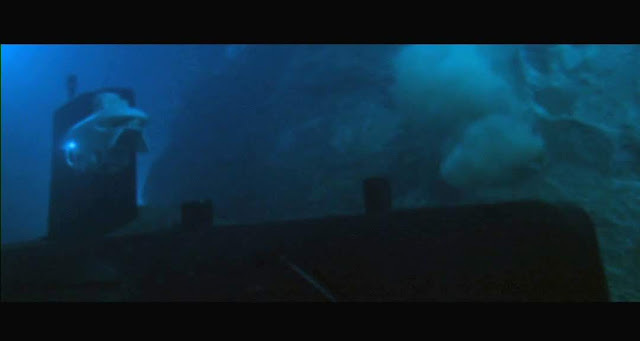 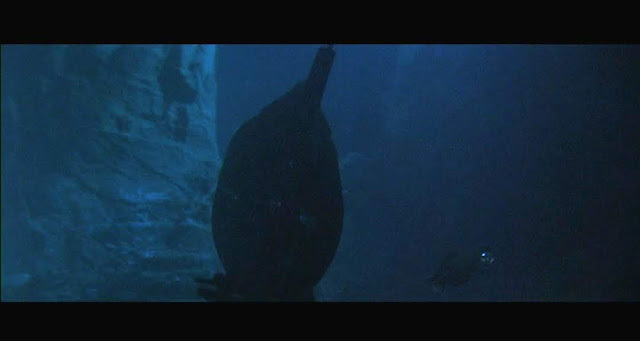 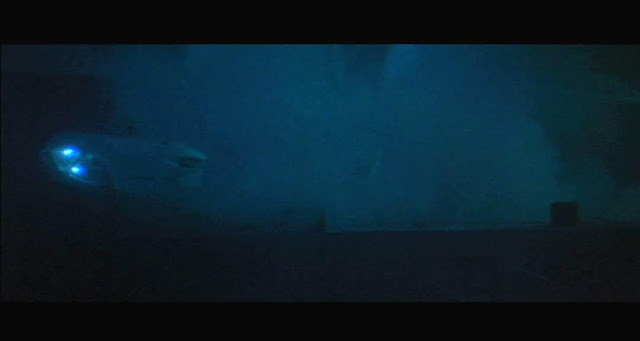 IMDB states that the underwater miniatures were shot in a smoke environment, however the bubbles that are visible in many of the shots seem to me to be actually there and not composited, also the way the collapsing sand and silt flows and billows suggests a fluid environment so it seems to me that the miniatures were more likely shot wet, in a tank. 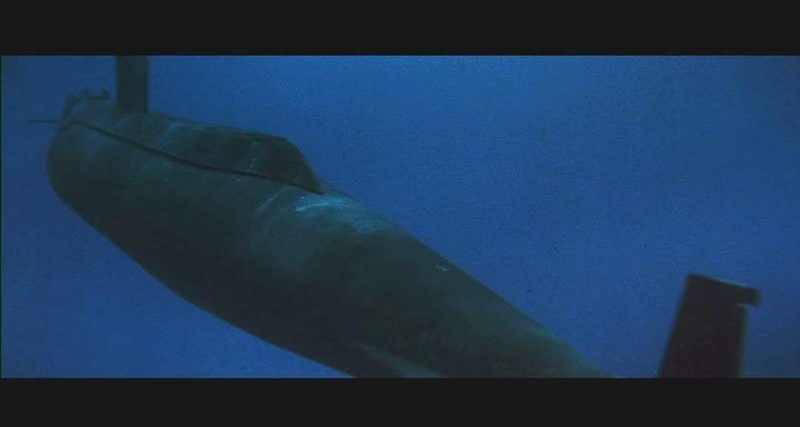 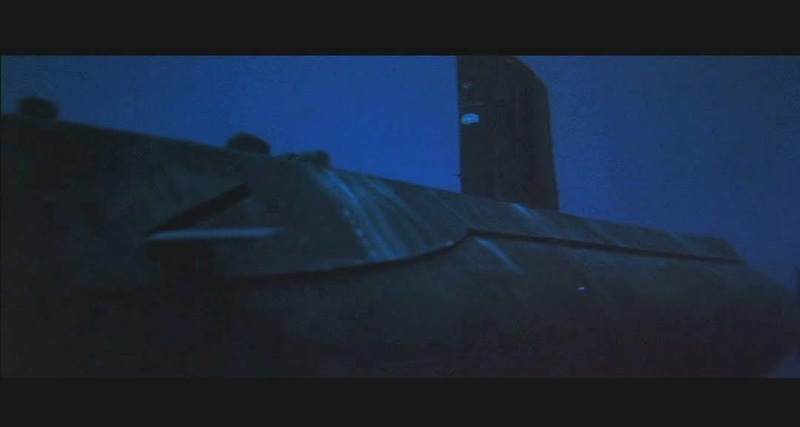 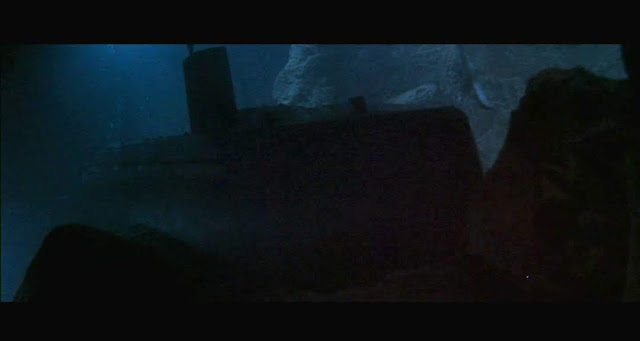 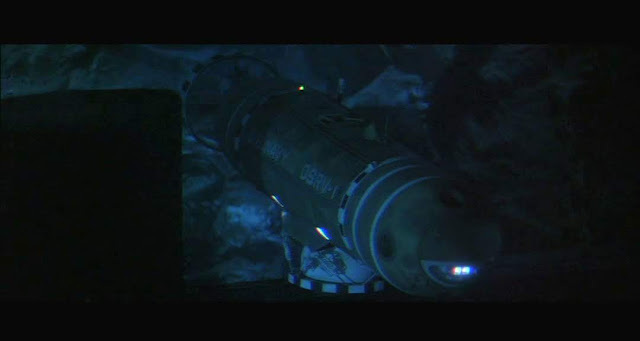 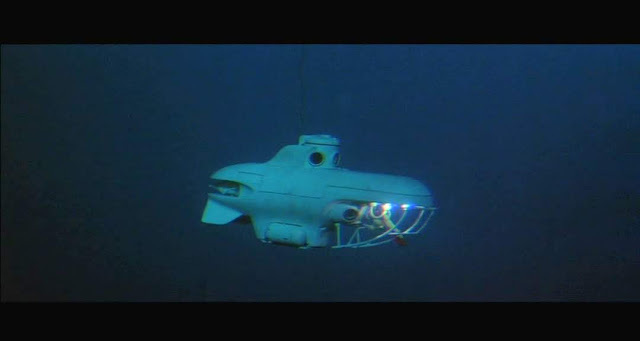 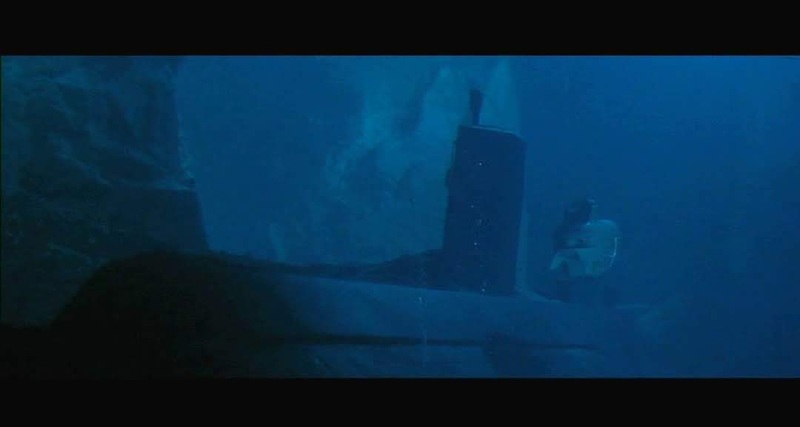 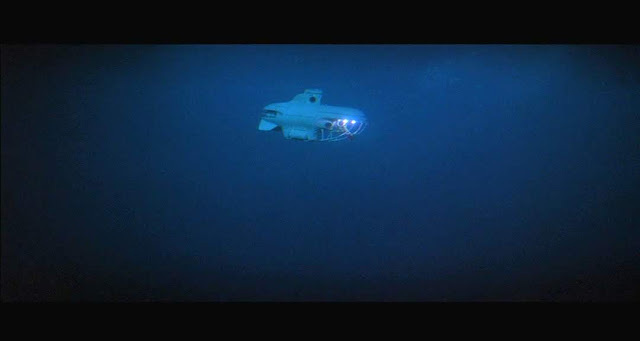 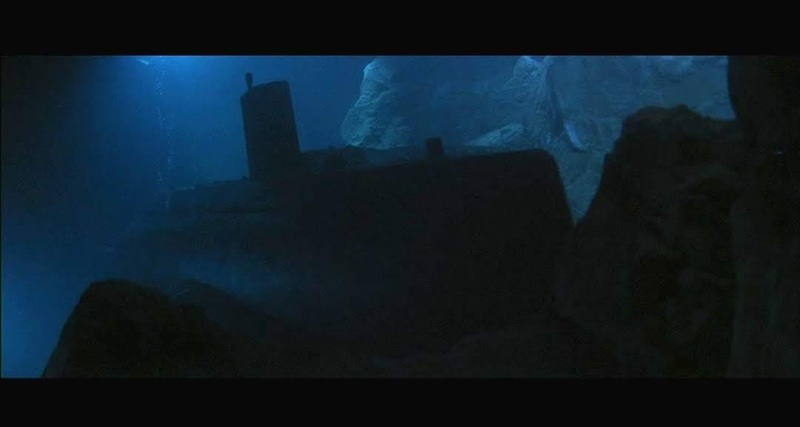 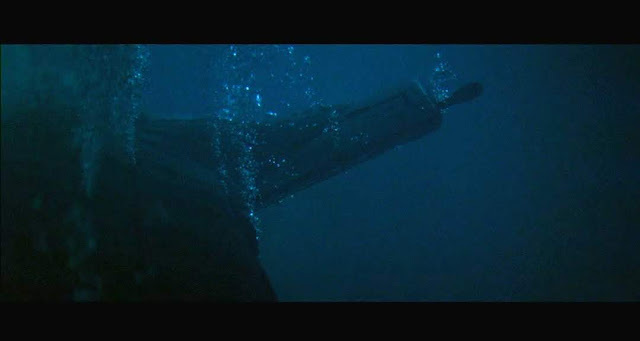 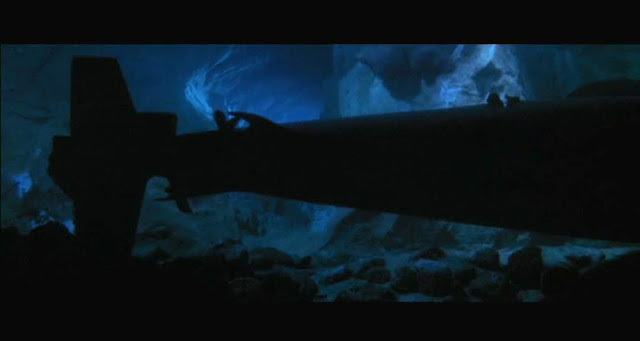 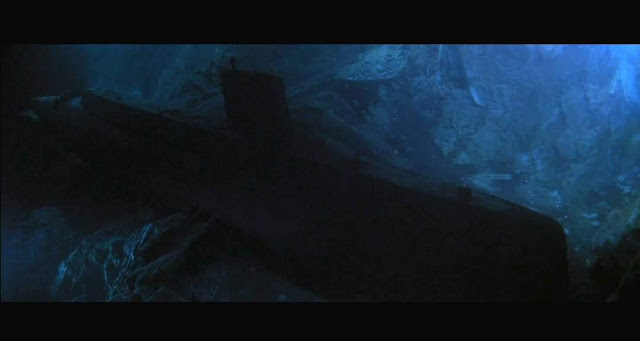 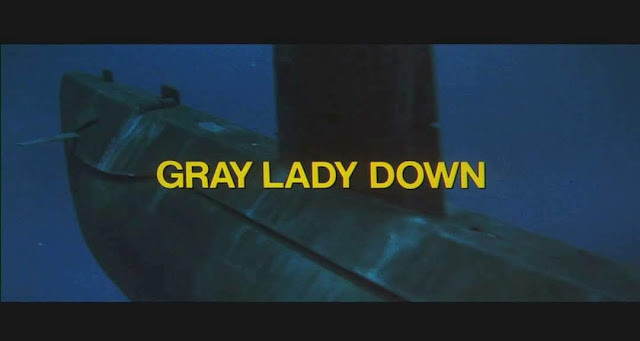 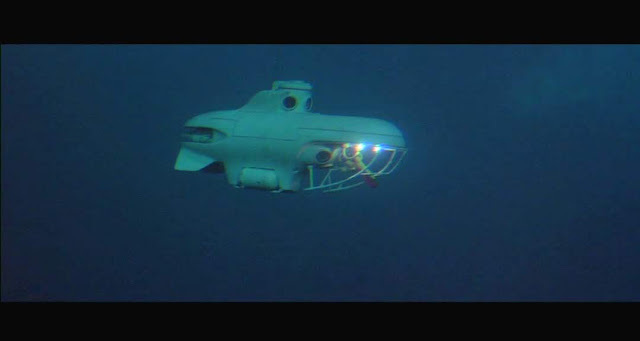 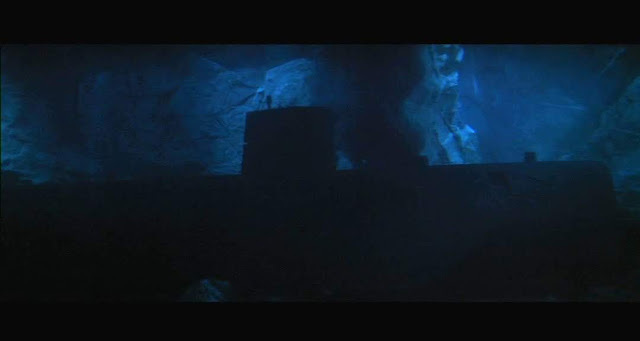 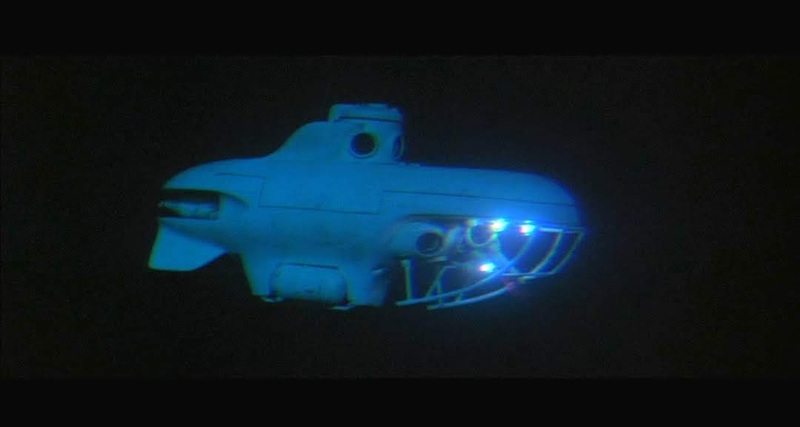 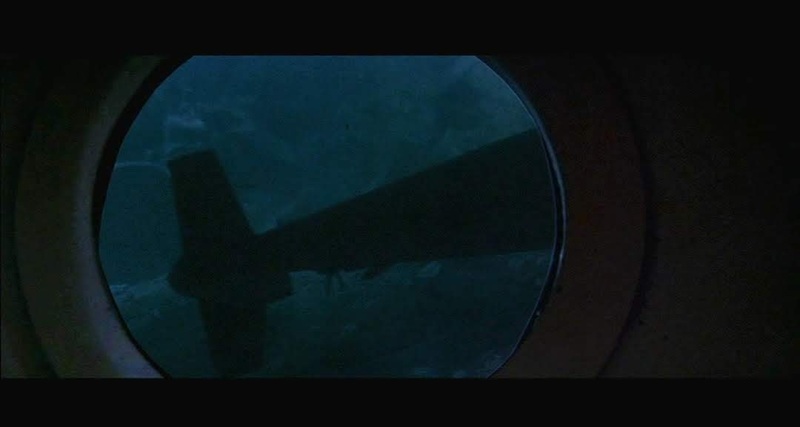 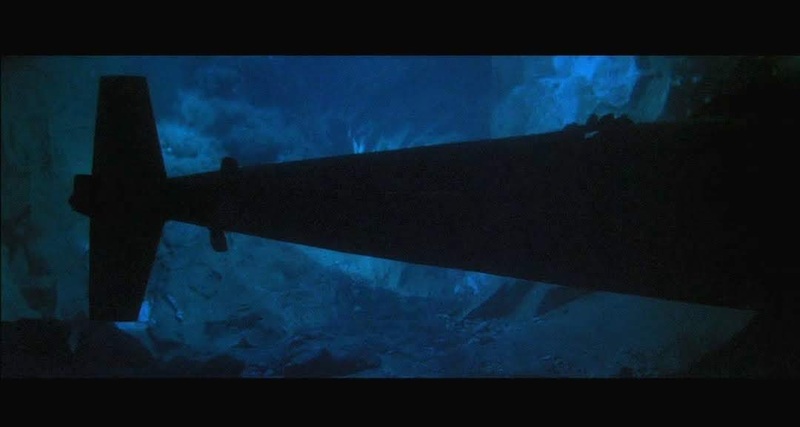 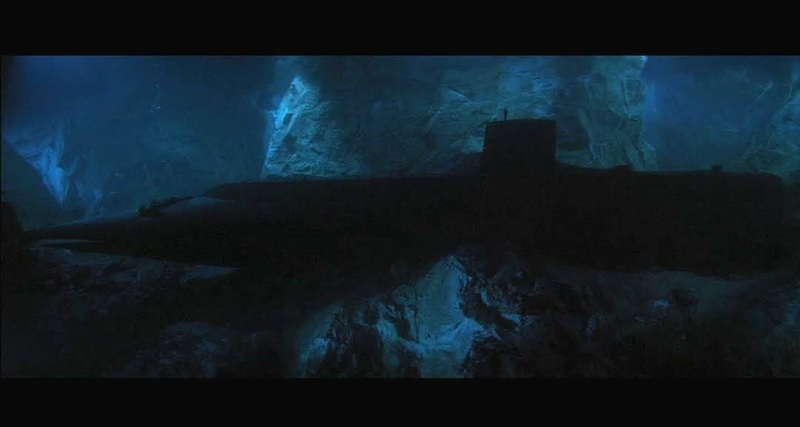 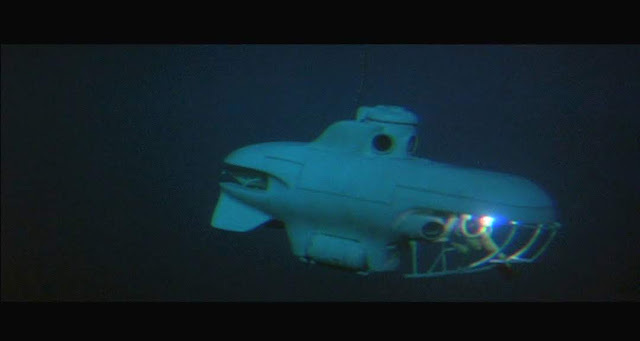 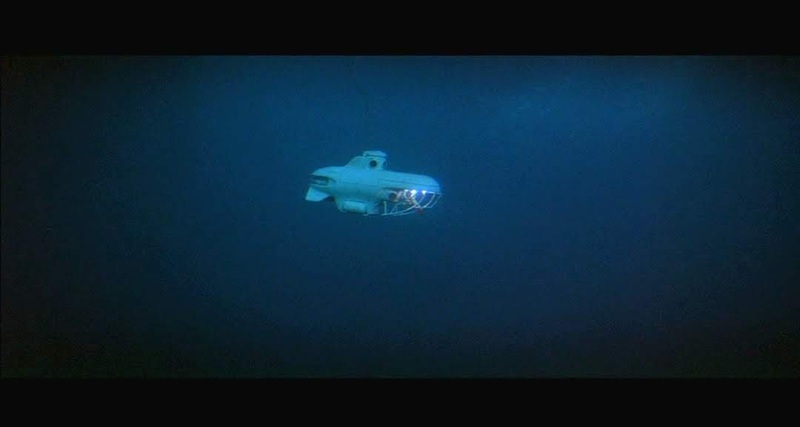 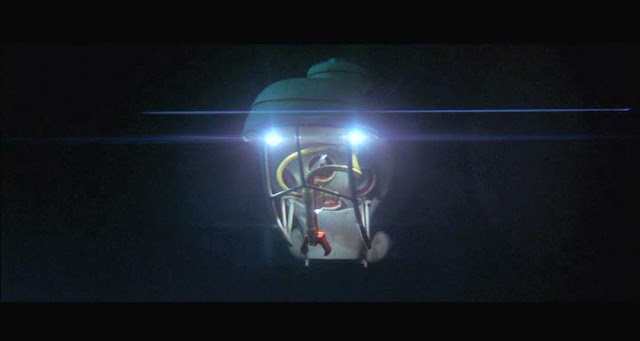 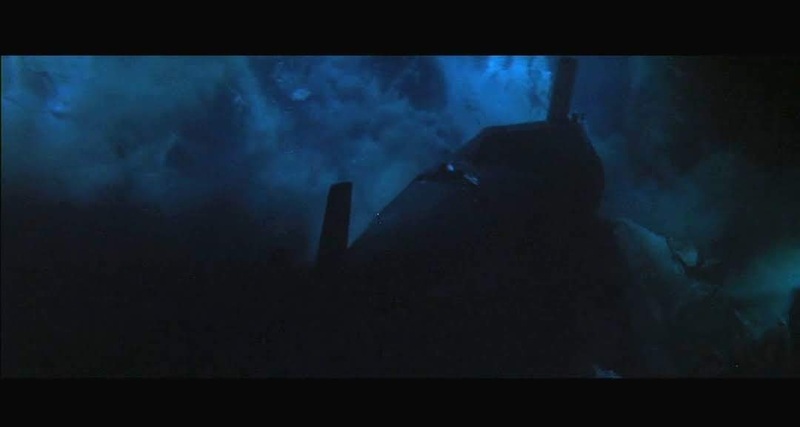 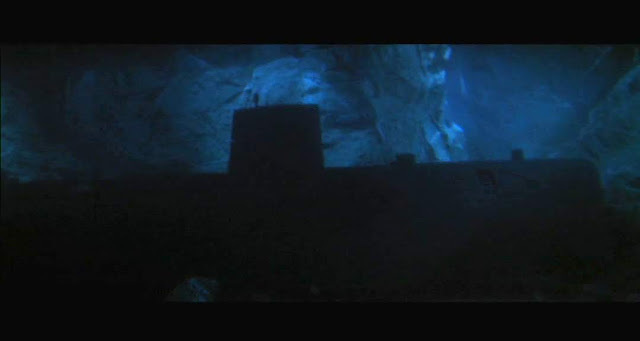 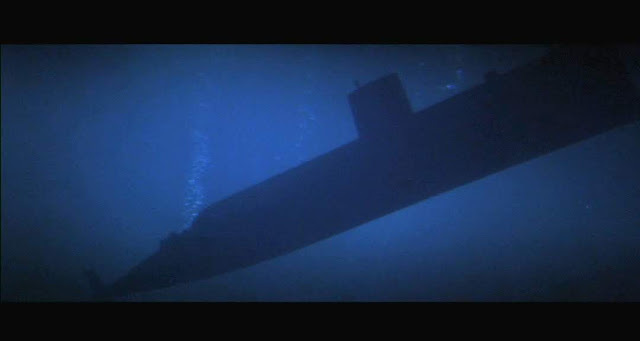 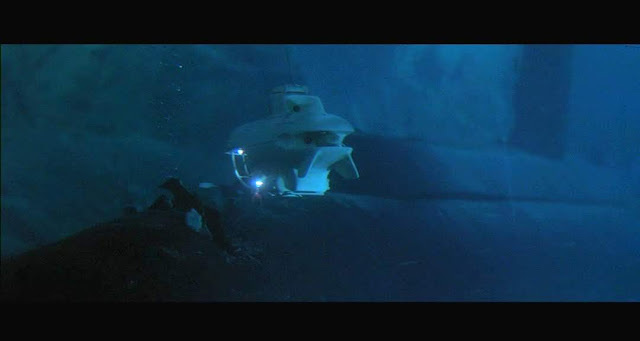 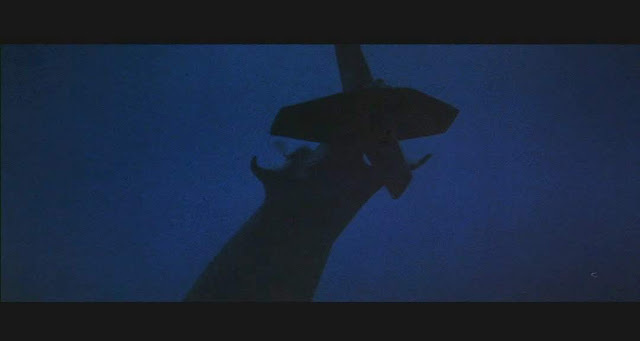 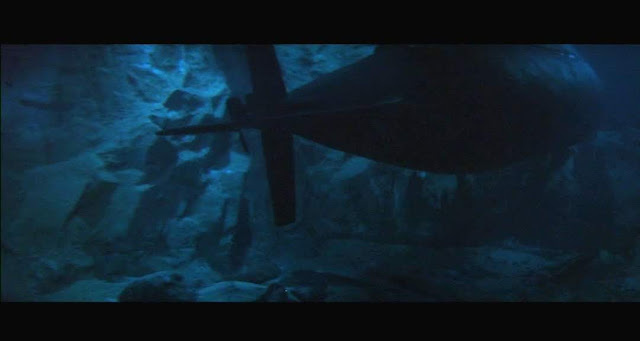 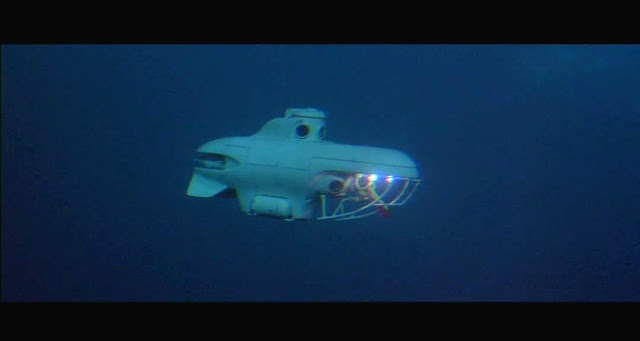 Your readers might be interested to know that the model sub in this movie is the same one made for and used in "Ice Station Zebra". 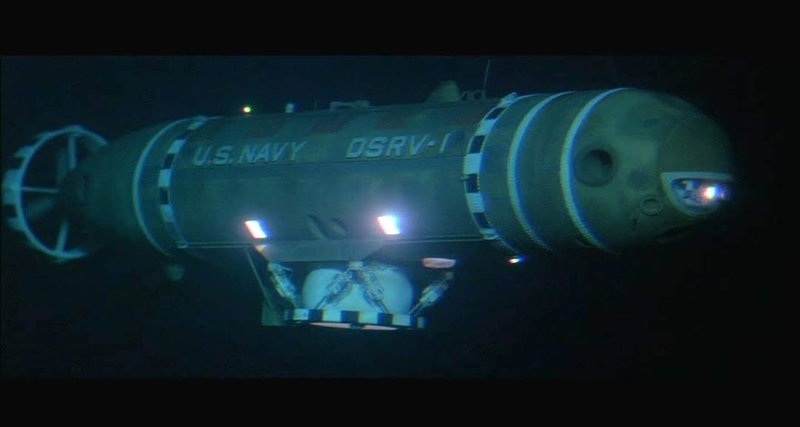 Thanks for the info, I'm preparing to do an entry on Ice Station Zebra.